Sayagaki: Sekido Unju Korekazu Bunkyu 2 Nen, Kasaku. Shinshinto: Jyo Jyo Saku: Musashi. Blade length :　69.7　cm or 27.44 inches. Kasane : 0.79 cm or 0.31 inches. 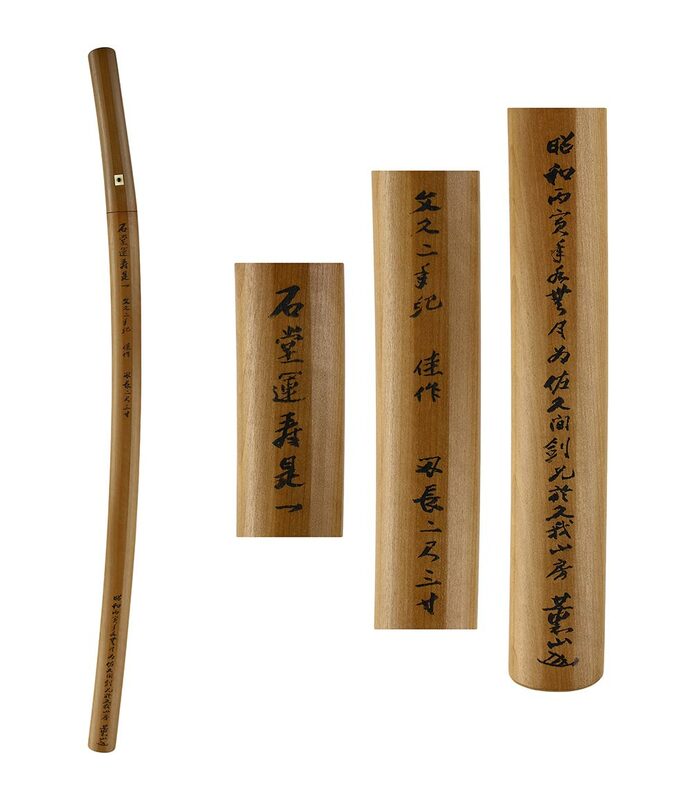 Shape : Wide and thick Katana with Okissaki. There are Sunagashi and Kinsuji. Boshi is Midarekomi styke with thick Nioikuchi. he passed away in 1894 aged 75. He made Sodenbizen den which is convined with Bizen and Sosty den style. 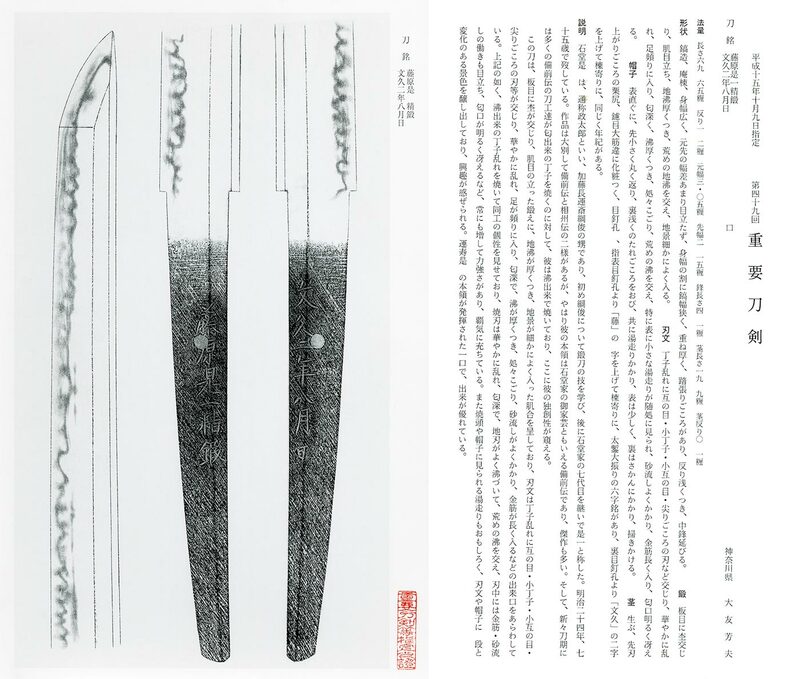 but 7th generation Korekazu made swords like Sosyu style. demanding Japanese swords are very few. 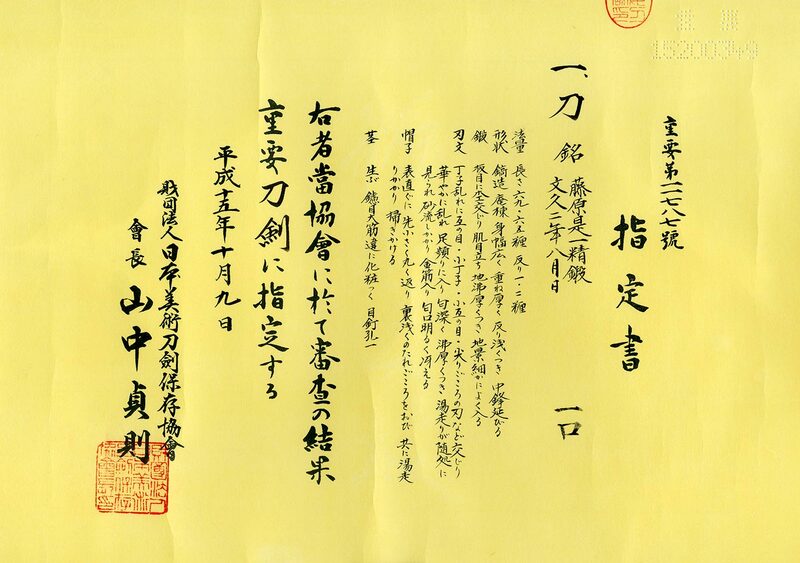 Meiji Government decided to prohibit to make Japanese swords. A lot of sword makers gave up his job. wickerwaok pattern and Kiri are engraved. Menuki : Horse is engraved. We guess this menuki is solid gold. Fuchikashirae: Shakudo, horse is engraved. From Aoi Art: Sekido Unju Korekazu is one of he most skillful sword smith in Shin Shin To period. this blade is ‘Kasaku'(fine work). He seldom writes it. He had good opinion of this blade. This blade is masterpiece. We strongly recommend this blade for you.